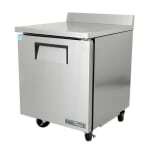 The True TWT-27F-HC worktop freezer can be used to prepare ingredients or as a work station for various types of equipment. Dents and scratches are resisted by the stainless steel exterior construction, and the GalFan-coated rear resists corrosion. With an aluminum clear coat interior liner, this unit resists corrosion. Product will not get stuck in the coved corners of the stainless steel floor. Structure is added with the foamed-in-place polyurethane insulation. Cold air is maintained by the capillary tube system and R290 hydrocarbon refrigerant. The temperature averages -10 degrees Fahrenheit. A low-velocity, high-airflow is created by the evaporator fan motor and large fan blades. 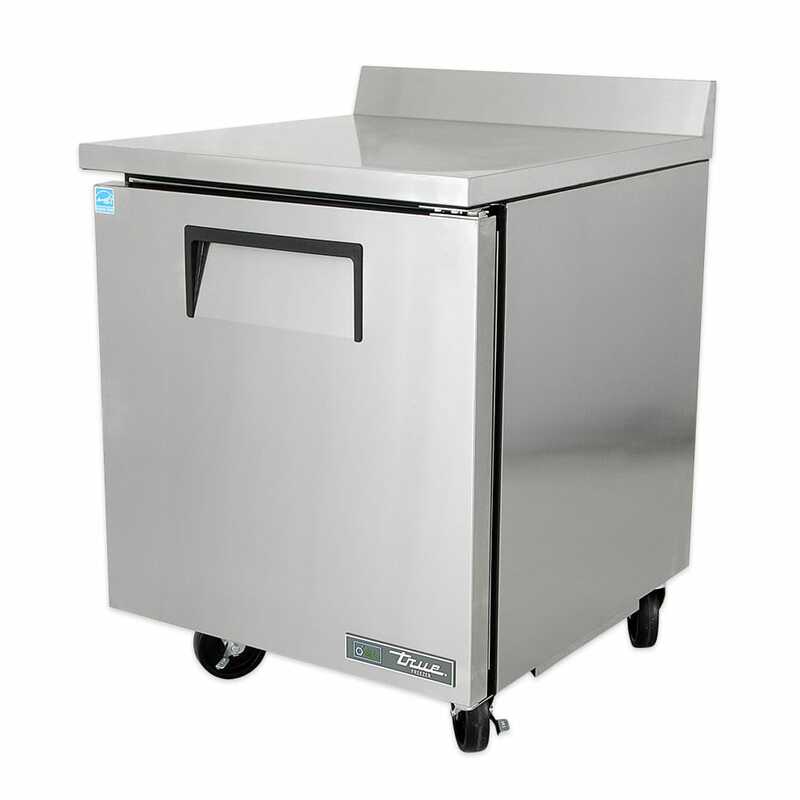 To provide access for maintenance, the refrigeration system can be worked on from the rear. 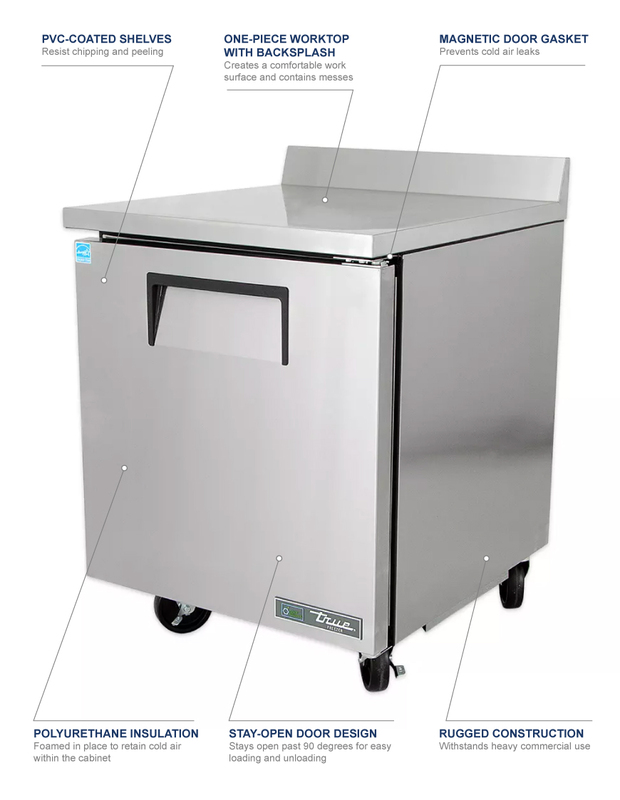 The True TWT-27F-HC worktop freezer has an automatic defrost system that starts and stops at a certain time. More information on these types of units can be found in our worktop freezers buyers' guide.